After checking at the gate on the black limousine drove one up between picturesque willow trees and immaculately clean sidewalks, sloping road to the Great Hall of the People. The vehicle stopped under a long canopy and the passengers hurried into the hall. If they had taken time for a panoramic view, they could have admired one of the best views of Beijing. But they were quickly accompanied into the hall, because the Prime Minister Chiang Kai-Chek already expected them in the large conference room on the first floor. Gérard Boyer, the French ambassador to China, entered the room at the same moment as Prime Minister Kai-Chek, who was accompanied by several cabinet members. The French ambassador greeted the Chinese prime minister warmly. "Mr. Prime Minister; it's good to see you again." Kai-Chek nodded. "Likewise, Monsieur Boyer. Please be seated; we have much to discuss. I'll get right down to the meat of the issue, Ambassador. Would your government be willing and able to arrange and host a meeting for us in Saigon with the Filipino government?" Boyer visibly brightened. "A peace conference? Absolutely, Prime Minister." "Yes, Monsieur Boyer, it is time that this senseless bloodshed is over." answered Kai-Chek. "And we would be delighted if our French friends would act as host for this peace conference." My government has received a request from the Chinese Empire to pass on their desire of meeting with your representatives at a date and time to be determined, for the purposes of discussing a mutually-satisfactory means to end the state of war existing between China and the Philippines. The Republic of France has been requested to serve as a neutral intermediary to host your respective delegations in Saigon. Please advise us of your response at the earliest possible moment. On behalf of the Republic of the Philippines, I wish to thank you for relaying the request of the Chinese government. The Republic of the Philippines is interested in ending the state of war existing between ourselves and Chinese Empire, and are willing to meet with Chinese representatives at the earliest possible date. Foreign Minister Ambrosio Abarrientos has accepted my request to serve as chief ambassador plenipotentary for the Filipino delegation, which will depart for Saigon via a neutral merchant vessel at once. It is my privilege to acquaint you with the response of the Republic of the Philippines pursuant to your request of the 6th instant regarding a neutral intermediary for discussions with their government. The Republic of the Philippines has accepted the offer of neutral ground to hold a peace conference, and the Filipino government is dispatching a party led by Foreign Minister Ambrosio Abarrientos. 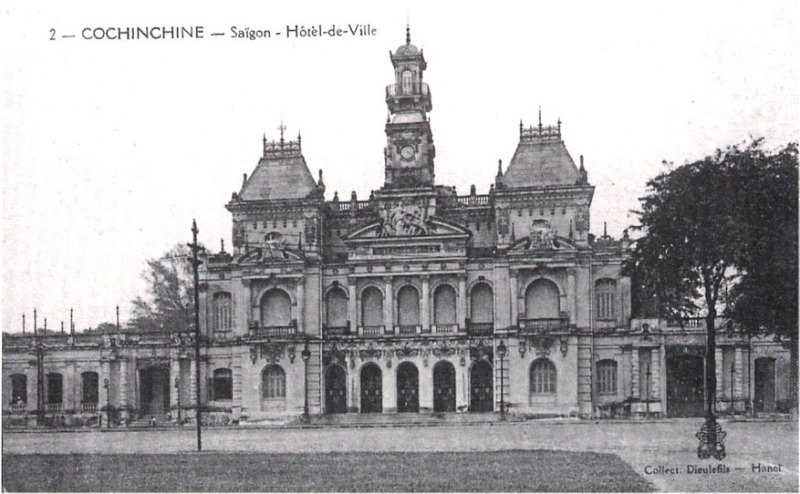 The French government is arranging private hotel suites for both delegations, and space for negotiations at the Hôtel de Ville de Saigon. I am additionally willing to offer my government's services as a neutral mediator. The Chinese foreign minister arrived punctually at four o'clock in the afternoon at the meeting room of the Prime Minister and bowed deeply before Kai-Chek. intermediary and not only hosted the conference." so that you can leave as soon as possible for Saigon. Our well-beloved Emperor has instructed me to inform you that you will have the honor to lead the Chinese delegation. You will be accompanied by Sen Dong Kim, our former ambassador to Manila; he certainly knows the Filipinos better than any other." "Gentlemen, welcome to Saigon; thank you for your willingness to come together to discuss how to end this war and restore a state of peace. I will not waste time with a long opening statement. We have made rooms available for your delegations so that, if desired, they may retire to discuss any proposals prior to responding to the other party. I will act as the neutral officiator of this conference, as well as the official representative of the French government." "1. In the view of the Filipino government, and after extensive investigation, the conflict began over fishing rights in the region of the so-called Spratley Islands following the extension of territorial waters to the 11-mile limit. This led to the Tabano Incident, where a Filipino warship attempting to enforce the territorial waters was sunk by a Chinese warship. "2. The Filipino government, having held the Spratley or Kalayaan Islands for an extended period of time, holds the islands to be an integral part of the territory of the Republic of the Philippines. Co-dominium rights were extended as a courtesy to the Kingdom of China in 1936 by special treaty, and the Chinese military used this as the opportunity to develop a major naval and air base. The Filipino government, as a result of the immediate pre-war incidents with China, saw fit to abrogate the co-dominium. The continued occupation of the islands by Chinese troops is the casus belli of of this war. - First, that the Republic of the Philippines and the Kingdom of China mutually apologize without culpability for the Tabanao Incident. - Second, that the co-dominium of the Spratley or Kalayaan Islands be ended, with the territory reverting to the Philippines. - Third, that the Republic of the Philippines and the Kingdom of China both return to the internationally-recognized three-mile limit for territorial waters, except for the recognized special cases. - Fourth, that the Spratley or Kalayaan Islands be completely demilitarized in perpetuity, with a maximum military presence not to exceed thirty men. - Fifth, that all prisoners of war held by the Republic of the Philippines and the Kingdom of China be repatriated to their country at the earliest possible convenience. - Sixth, that the Republic of the Philippines and the Kingdom of China submit any claims of damages due to the war for determination of reparations." Deng Hau Min listened carefully to both, the French statesman and the filipino chief-negotiator Ambrosio Abarrientos. our French friends, that we can do here on neutral ground, the negotiations for a peace treaty." he bowed to the french statesman and to the filipino delegation. eliminate the reasons that have led to this conflict. But we must not make the mistake that we sow the seeds of a new, perhaps wider conflict." chose the chinese pronunciation of the Spratly Island group) for centuries as fishing grounds. For this reason, our two governments have signed the Co-Dominium contract. by both sides, i find the expression of an "occupation of the islands" a little bit unfortunate." "We will now retire to discuss the points that you have proposed." Deng Hau Min said and left with his delegation the conference. The chinese delegation withdrew into a prepared room. The habitués of the Grande Monde casino in Cholon attended to their favorite vices – some roulette, some baccarat, others vingt-et-un. In the bar Hermann Lauterbach, German consul in Saigon, sat listening to the conversations around him. He did this often, for the bar at the Grande Monde was a place that anyone who was anyone in Saigon visited at least occasionally – the Governor General excepted (or incognito). It afforded him an opportunity to pick up tidbits of useful information from time to time, and this was proving to be an interesting evening. Most of the French colonials were musing on the negotiations between the Chinese and the Filipinos to settle their differences regarding the sandbanks of the Spratleys – to call them islands was overstating their geographical importance. It was not that anyone at the bar actually knew the content of the exchanges between the two nations, but that did not stop the rumor mill. Supposedly the Filipinos had demanded immediate Chinese evacuation of its military forces and huge reparations, whereas the Chinese had reputedly offered to demilitarize the islands in exchange. One fellow – a regular who Lauterbach knew only as “Le Chiffre” – had begun a betting pool on how long it would take for the two nations to reach agreement. He was getting brisk business, at a thousand piastres a pop. He already had several takers for “Never”. "Well what do you say to the Philippine proposals, Dong Sen Kim ? You were ambassador in Manila, and therefore you know the Filipinos better than anyone here", asked Deng Hau Min the former Chinese ambassador to the Philippines. "Of course not !! I'm certainly not come here to Saigon, and the Filipinos dictate us the conditions. We will give them a decent response to their points and present our proposal in return. Than we will see how they react." says Deng Hau Min with a smile on his face. we only wanted to discuss in our small group before we can present you our response." "The first point of your proposals is absolutely acceptable and the base for any other negotiations. Islands are reverted back to pure Philippine territory. Therefor the existing military equipment must be removed or better scraped. (sea, air or land), even filipino or chinese, is forbidden. Only in case of emergency. and/or any other commercial use. Point five is also acceptable and China also insists on this point. compensation to the Chinese empire (the amount is still to be defined) for the withdrawal of Chinese troops from the Nanscha Dao. "The Philippines and China appear to agree on the resolution of the Tabanao Incident. "The repatriation of the seaplane cruiser Shanton to China will be an acceptable clause of a final treaty. However, the Philippine government is at the present time disinclined to offer financial compensation for the withdrawal of Chinese troops from the island. It is our studied opinion that a Chinese withdrawal would be less financially costly for China than the cost of maintaining their troops for another month in their current besieged state. "The Philippines absolutely and categorically declines to waive exploration and exploitation rights around the Spratley / Kalayaan Islands to China under absolutely any conditions. "If the Republic of the Philippines and China return to the internationally-recognized three-mile limit, no seven-mile neutrality zone around the islands are seen as necessary. - Third, that the Spratley or Kalayaan Islands be completely demilitarized in perpetuity, with a maximum military presence not to exceed thirty men. All fortifications will be demolished and all military equipment removed or scrapped in place. - Fourth, that all prisoners of war held by the Republic of the Philippines and the Kingdom of China be repatriated to their country at the earliest possible convenience. - Fifth, that the Republic of the Philippines repatriate the seized Chinese seaplane cruiser Shanton within six months of the signing of a final peace treaty. - Sixth, that other reparations and financial compensations from the conflict be foresworn. "According to the Tabano incident, it looks like we have at least one point where we agree." sighed Deng Hau Min "Furthermore we are pleased to see that the Philippines accept the repatriation of the seaplane cruiser Shanton to China. I also think that the precise modalities then are set out in the final contract, we will certainly find an acceptable solution for both nations." "Certainly, an immediate withdrawal of Chinese troops is cheaper than keeping them on the Nanscha Dao. However, China sees currently no reason to withdraw its troops. But if the Philippines provide an ppropriate incentive - China will agree. Currently the islands are undoubtedly under Chinese protection and China will certainly not abolish this protection for free." said Deng Hau Min with a smile on his face. "As mentioned earlier China will not return to a three-mile zone ! Thus, in our eyes, the creation of a demilitarized neutral zone is the only solution ! China certainly does not accept that the Philippines will have the sole right of use inside the zone. However, China could be satisfied if NO nation will have the right to exploration and exploitation rights around the Nanscha Dao. After the agreement to the creation of this neutral zone, China agrees to dismantle or destroy all military installations. The airstrips are only opened for emergency uses. Regarding the future military presence on the islands, China suggests, that these troops perform police functions rather than the armed forces. This means that they may be armed only with light weapons. No heavier weapons than carabiner allowed." signing of the final peace treaty. 4. It will be create a 7-Mile demilitarized neutral zone around the Nansha Dao. The maximum military presence not to exceed thirty men. be demolished and all other military equipment will be removed or scrapped in place by the chinese Empire. is prohibited for all countries. No exploration and exploitation rights for any country of the world. 6. Reparations and financial compensations from the conflict has to be defined. 2. All prisoners of war held by the chinese Empire and / or the Republic of the Philippines be repatriated to their country at the earliest possible convenience. The prisoners will be brought to Saigon, where they can go onboard the ships of their home country. 3. The Republic of the Philippines repatriate the seized chinese seaplance cruiser Shanton within three months of the signing of the final peace treaty. 4. It will be create a 7-Mile demilitarized neutral zone around the Nansha Dao. The maximum military presence not to exceed thirty men. These thirty men are only armed with light weapons. They have more the function of policemen than armed forces. All fortifications will be demolished and all other military equipment will be removed or scrapped in place by the chinese Empire. The Philippines agrees to everything but the 7-mile demilitarized zone, which they categorically reject. 5. Within this newly created neutral zone the fishing for fishermen of BOTH countries is allowed without any restrictions. Any other use is prohibited for all countries. No exploration and exploitation rights for any country of the world. The Philippines declines to tell other countries what they can do in international waters. Rejected. The Philippines offers a counter-proposal which eliminates reparations and financial considerations of any kind. Mistake. Looks like Parador changed to a three-month repatriation when I'd originally said six months; I copied the Fifth Point from the previous post and didn't notice it'd been changed down to three months. Deng Hau Min bowed to the filipino foreign minister and said "Thank you Signior Abarrientos for your open and honest words of your proposals. Sure you understand that I need to discuss these points with my delegation. So please be patient, i don't think it will be a long or endless discussion." After these words, all members of the Chinese delegation bowed before the filipino delegation and retreated into the prepared room. French negotiator Jean-Pierre Murail, after some thinking, proposes an alternative to the Filipinos, who, after some brief discussion, signal their willingness to entertain the proposal if it's acceptable to China. Murail then passes the proposal to the Chinese delegation in their private room. - 1. The Republic of the Philippines and the Kingdom of China mutually apologize without culpability for the Tabanao Incident. - 2. The co-dominium of the Spratley or Kalayaan Islands be ended, with the territory reverting fully to the Philippines. - 3. All prisoners of war held by the Republic of the Philippines and the Kingdom of China shall be repatriated to their country at the earliest possible convenience. - 4. The Republic of the Philippines shall repatriate the seized Chinese seaplane cruiser Shanton within three to six months of the signing of a final peace treaty. - 5. The Republic of the Philippines return to a three-mile limit on territorial waters. Outside of this limit, Chinese, Vietnamese, Filipino, and other international fishermen may fish as deemed proper in international waters. - 6. The Spratley or Kalayaan Islands will be be completely demilitarized in perpetuity, with a maximum military presence not to exceed thirty men, as deemed suitable for policing and lifesaving, with the maintenance of necessary lighthouses, radio stations, and navigational beacons. All military fortifications will be demolished and all military equipment removed or scrapped in place. - 7. The Chinese will withdraw their troops and mobile equipment, as well as any supplies they wish to remove. A neutral third party (France) will establish a set amount which they deem sufficient to cover the withdrawal. The Filipino government will pay this set amount to the third party, which will observe the withdrawal. Once the third party is satisfied that the withdrawal is completed, the third party will transmit that amount to China. If China exceeds the set cost amount for the withdrawal, then China will bear all further for that cost themselves. - 8. The Filipinos will pay for the costs of the islands' demilitarization, paying whatever cost is necessary to complete the job. Any scrap material recovered from this process (rebar in concrete structures, etc) will be presumed to be the property of China and will be transported to China for disposal, or sold for a fair market price. Demilitarization will be observed by the third party and representatives of the Chinese government. - 9. If any Chinese-built structures are retained on the islands following the demilitarization (for example, buildings or the island's runway), then the Filipino government will pay the Chinese a fair market price for them, as deemed proper by the neutral third party. - 10. All wartime claims for compensation, etc, held by the Republic of the Philippines and the Kingdom of China are declared null and void. - 11. All civil claims held by citizens of the Republic of the Philippines and the Kingdom of China, and any civil claims held by citizens of a non-belligerent as a result of the war, will be adjudicated by the Permanent Court of International Justice. "And now ??? It looks as if the Filipinos have no room for further negotiations and are ready to fight the war to the bitter end." says Dong Seng Kim. "You are right" answered Deng Hau Min "The Filipinos stand with their back to the wall !" after heavy discussions the french negotiatior Jean-Pierre Murail entered the room and submitted his proposal. proposal, a treaty is the next step and has to be written." Murail thinks to himself: "Whew, cats successfully herded - so far..."
Jean-Pierre Murail read slowly from the document, which also was handed out to both delegations. Confirming that the principles of the Charter of the League of Nations should be fully respected. Hoping to contribute to peace and stability in Asia and in the world. For the purpose of solidifying and developing the relations of peace and friendship between the two countries. The Empire of China and the Republic of the Philippines hereby resolve to end with the signing of this contract that state of war which has existed between their two nations, ending all hostilities, agitations and propaganda resulting from that state of conflict. Embassies and consulates shall be reestablished and normal relations shall resume. The Republic of the Philippines and the Empire of China mutually apologize without culpability for the Tabano Incident. The co-dominium of the Kalayaan Islands, also known as Nansha Dao or the Spratley Islands, will end with the signature of the treaty, with the territory reverting fully to the Republic of the Philippines. All prisoners of war held by the Republic of the Philippines and the Empire of China shall be repatriated to their country at the earliest possible convenience. A committee consisting of three individuals from the Philippines and three individuals from China shall meet to exchange information regarding prisoners of war as well as soldiers missing or killed in action to allow for the mutual accounting of losses. The Republic of the Philippines shall repatriate the seized Chinese seaplane cruiser Shanton within three to six months after the signing this peace treaty. The Republic of the Philippines shall return to a three-mile limit on territorial waters. Outside of this limit, Chinese, Vietnamese, Filipino, and other international fishermen may fish as deemed proper in international waters. or scrapped in place as soon as practicable after the signing this peace treaty. 2. The Chinese agree to withdraw their troops and mobile equipment, as well as any supplies they wish to remove. A neutral third party, both nations agreed that will be France, will establish a set amount deemed sufficient to cover the withdrawal. The Filipino government will pay this set amount to the third party, which will observe the withdrawal and report to both parties on progress. Once the third party is satisfied that the withdrawal is completed, the French will transmit that amount to China immediately. If China exceeds the set cost amount for the withdrawal, then China shall bear all further costs themselves. 3. The Republic of the Philippines will pay for the costs of the islands' demilitarization, paying whatever cost is necessary to complete the job. Any scrap material recovered from this process (rebar in concrete structures, etc) will be presumed to be the property of China and will be transported to China for disposal, or sold for a fair market price. Demilitarization will be observed by the third party (France) and representatives of the Chinese government. 4. Any Chinese-built structures retained on the islands following the demilitarization (for example, buildings or the island's runway), then the Filipino government shall pay a fair market price for them to China, as deemed proper by the neutral third party. All wartime claims for compensation, etc, held by the governments of the Republic of the Philippines and the Empire of China are declared null and void. All civil claims held by citizens of the Republic of the Philippines and the Kingdom of China, and any civil claims held by citizens of a non-belligerent as a result of the war, shall be adjudicated by the Permanent Court of International Justice, with both nations agreeing to the judgments rendered. This peace agreement shall come into effect immediately, with ratification to take place at the earliest possible convenience. DONE in duplicate, in the Chinese and Filipino and English languages, all texts being equally authentic, at Saigon, this twentieth day of January, 1941. Huzzah, peace, love, flowers and puppies breaks out again in the Far East!